What is it about maps that is so cool? I'm quite terrible with reading a map and really bad with directions ;) But maps/globe anythings is a weakness for me. These are a few finds in our collection. 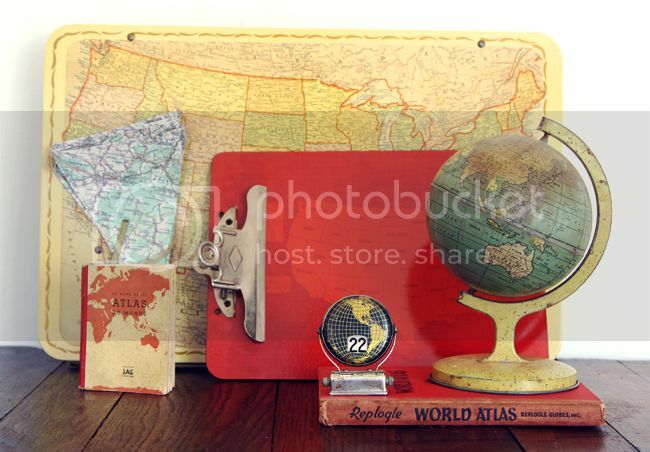 Perpetual calendar, a mini & large book atlas, a map clipboard and globe, and one of my favorites - a map tray gifted from a sweet friend. So what sort of things do you collect? Great post! I just bought a globe for my living room! I love them! Traveling to SoCal from Texas next week and will be coming by the shop for sure! 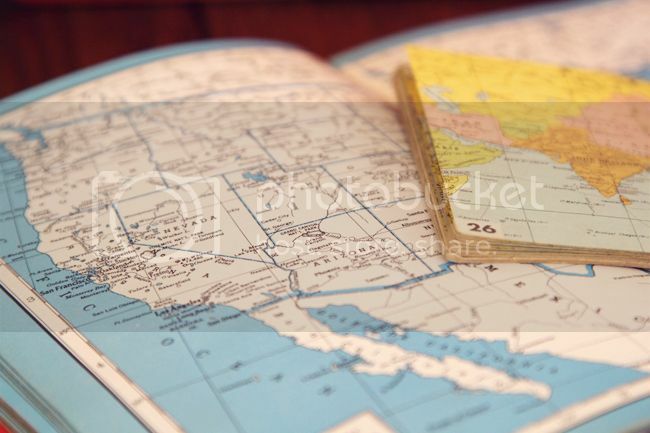 I love maps too...To me its like a puzzle and mind works like a puzzle. I am TERRIBLE at directions....I couldn't tell you from north from south but maps kinda opens up a new realm. Maybe.....Ok i am gonna stop..to many fantasy books. I seriously can't wait to go shopping in your store for my new apartment! I'm going to bring a friend. It's going to blow his mind! 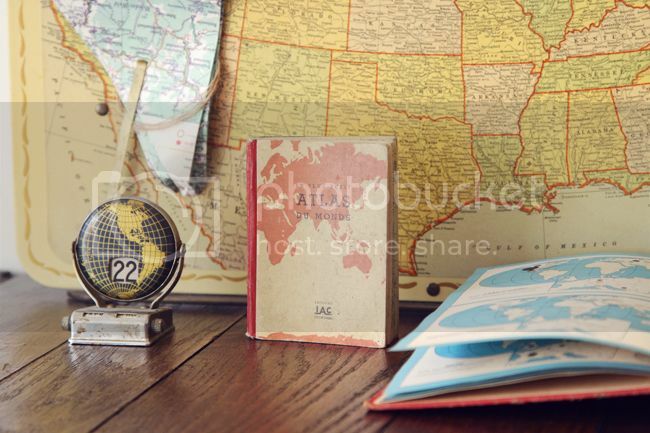 Oh, how I adore vintage maps and globes! My hubby does too, so that is fun for us. We have a couple of old globes and several vintage atlas books. 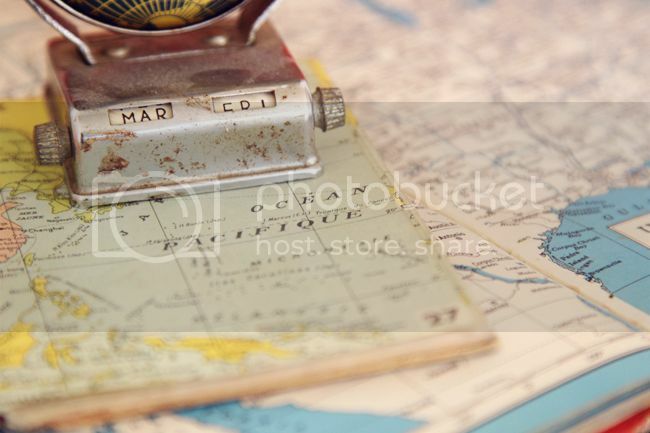 I also love to use vintage maps in my mixed media jewelry and art. I think there is really so much promise held in a map...the possibilities are endless! Hi I'm a new follower! And WHAT you have a shop in Fullerton?!! That's so close to me!! I can't wait to stop by and say hi :) There aren't enough vintage/thrift stores in this area!! Oh I'm a sucker for maps too! I just love anything that has a map on it! 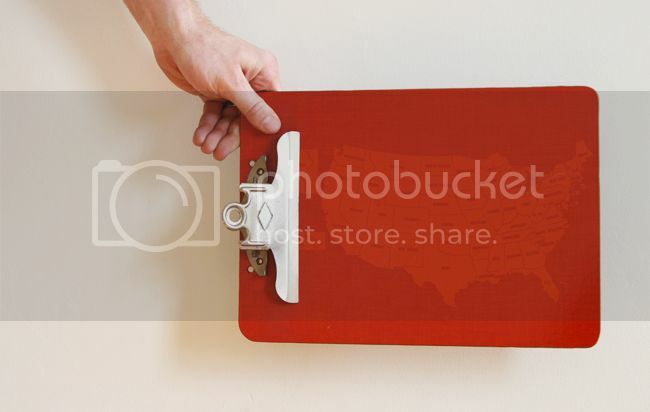 I love the map clipboard!